During a divorce, emotions may be running high. Divorce can be a complex and stressful process, and both parties may walk away feeling an array of emotions, from relief to sadness. In California, divorces require a lot of decisions to be made about how the lives of both involved parties will change. The courts issue court orders regarding things like child support, child custody, the division of property, debts, and assets, spousal support, partner support, family support, and more. At the time they are made, these orders are created based on the law, the family’s current situation, and usually, the wants and needs of the people involved. However, following a divorce, both party’s lives, and the lives of any children they have, will change. While a divorce is intended to prepare both parties for their changing lives and dictate a lot of how it will change, sometimes, the unexpected happens, and the terms of the court orders that were issued during the divorce no longer serve the parties involved. The court has a process for when the needs of the parties change; it is called a modification. When a modification to a court order follows a divorce, it is called a post decree modification. Many types of court orders can be modified after they are issued, including child custody orders, visitation orders, and support orders. It is unlikely that a court will reconsider the original order regarding the division of property, debts, or assets. Thinking of Modifying our Child Custody and Visitation Orders, but I need help understanding the process. Child custody orders are one of the most commonly modified court orders in California. They may need to be modified for many reasons, as long as the modification is in the child’s best interest. 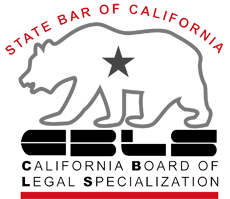 The child’s best interest is a legal standard in California, and all child custody and visitation orders are based on it. • A custody order may be modified if one parent is relocating, whether for a job, by choice, for a new marriage, or another reason. • A child custody order may need to be modified if one parent is incarcerated or involuntarily hospitalized. • A custody order may need to be modified if one parent is beginning to exercise his or her parental rights. • A child custody and visitation order may need to be modified if the child’s life is changing as he or she grows up. It is not uncommon to reevaluate and modify custody orders every two and a half to three years for this reason. • If one parent is being irresponsible, or failing to look out for the child’s best interests, the custody or visitation order may need to be modified. To be eligible for modification, you will need to show the following. First, you will need to prove that a change in circumstances has occurred since the custody and/or visitation order was issued. This change needs to be significant enough to show that the existing custody order is no longer serving the best interests of the child. Second, you will need to show that the new custody order does serve the child’s best interests. The goal of a custody agreement is to allow a child to have a consistent relationship with both parents, and the more often it changes, the less likely it is that the child will have consistency and stability in his or her life. If you are ready to modify your child custody or visitation order, always discuss your modification with a qualified lawyer in your area who has experience working on child custody cases. They can help ensure that you fill out the correct forms, that you fill them out completely and accurately, and that you file them in the appropriate places by the necessary deadlines. Another commonly modified kind of court order is a support order. Following a divorce, there may be several kinds of support orders issued, including child support orders, spousal support orders, partner support orders, and family support orders. When two domestic partners divorce or obtain a legal separation, they may be issued a partner support order. When two married spouses divorce or legally separate, they may be issued a spousal support order. When two parents share a child, they may be issued a child support order. When a family separates, including two parents and shared children, they may be issued a family support order, which combines child support with either partner support or spousal support. In California, all parents are legally obligated to financially support their children. Child support orders can be issued in a number of situations, and it may be modified for many reasons. • Child support may need to be modified if the income of one of the parents increases or decreases, or if either parent loses his or her job. This may also occur if either parent is incarcerated, hospitalized, or otherwise detained. • If either parent has a child in another relationship, child support may need to be modified. • If the child custody order has changed, or if the amount of time that the child spends with either parent has changed due to other obligations on the part of either the child or one of the parents, the child support order may need to be modified. • If the child’s needs have changed, the support order may need to be modified. This can happen as a child ages, as health issues occur, or as the child becomes more independent. Both partner and spousal support orders exist to help both spouses maintain a similar standard of living to that which was established during the marriage or registered domestic partnership. Spousal and partner support orders may need to be modified for many of the same reasons that child support orders can be modified. • A partner or spousal support order may be modified if the income of the supporting party decreases or increases, or if the income of the receiving party increases or decreases. • A spousal or partner support order may be modified if either party, especially the supporting party, is incarcerated, hospitalized, or otherwise detained. • Spousal and partner support orders may be modified if the receiving party fails to follow the terms of the order and those terms require them to find employment within a set time period. It is important to remember that no support orders can be modified retroactively. This means that an existing court order is legal, valid, and can be enforced as long as it is in place, and you will need to follow the terms of that court order until the modification has been approved by a judge. If you are considering modifying a court order, do not hesitate to discuss your case with an attorney. Just because you think that your loss in income is temporary, or if you think it is too difficult to handle while incarcerated, remember of the potential consequences you may face if you are unable to pay your support on time and in full. If your change in circumstances is temporary, the court order can always be modified again. 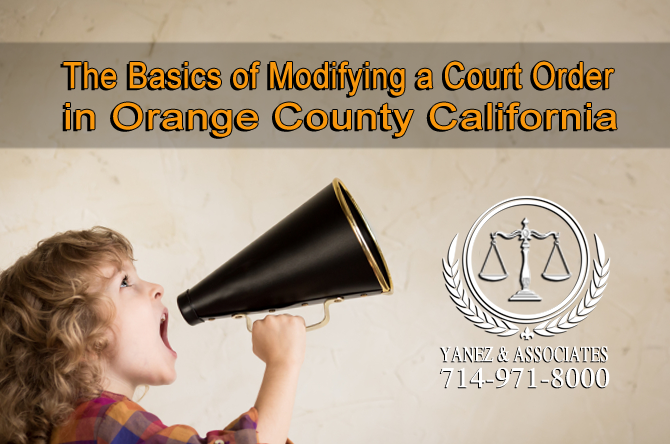 What are the Basics of Modifying a Court Order in the county of Orange? In some cases, both involved parties may agree on a modification to a court order. For example, when a child custody order needs to be modified because a child is growing up and his or her life is changing, both parents may be able to come up with an agreement as to how the court order should change. The two parties can submit their modification to the court, they may have to attend a hearing and state that they agree to the new order, and the judge needs to sign it into a court order. However, if both parties do not agree, one party will need to submit a motion for modification of a court order to the court. Once filed with the court, this will need to be served on the other parent. It will need to be shown that the order needs to be modified. Depending on the type of court order, this may be done in one of several ways. An attorney can help you decide the best reason to present for modification of your court order. Before a new order can be issued, you will likely have to attend mediation, a hearing, or both. A judge will need to sign the new court order in order to make it legally valid and enforceable. If you have questions about modifying a court order after it has been issued. Always speak with a qualified lawyer in your area. 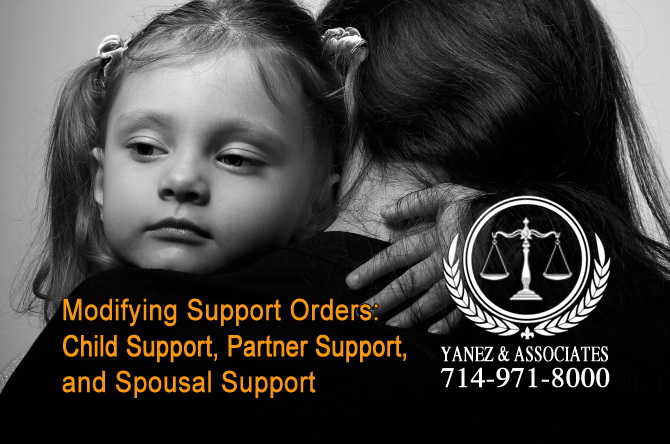 At Yanez & Associates, our attorneys have experience with all types of family law court orders, including the modification of support orders, custody orders, and visitation orders. We offer free initial consultations to all potential new clients, and we would love to meet you and discuss your case today. Contact us as soon as possible to schedule your free initial consultation.